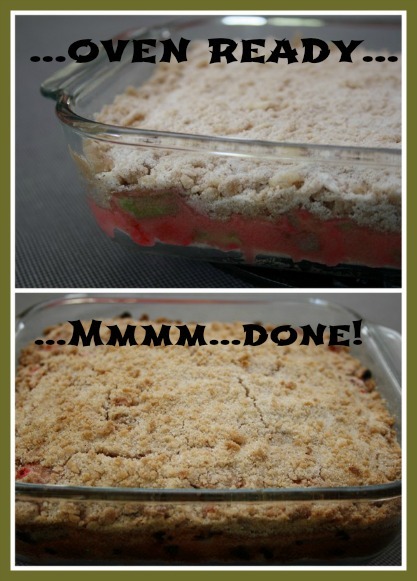 This quick and easy, Rhubarb Dessert Recipe - rhubarb bars is a great choice for a healthy finale to any dinner. 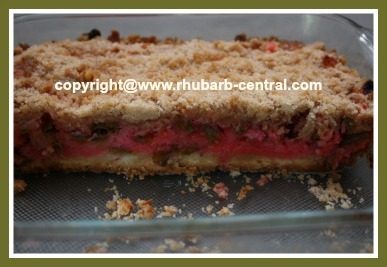 I made these rhubarb dessert bars yesterday with the rhubarb stalks from the last of this season's rhubarb harvest. My rhubarb was a little to green in colour for my liking, so I made crimson red rhubarb. With the added colour, the rhubarb dessert bars not only tasted amazing, but they LOOKED amazing too! 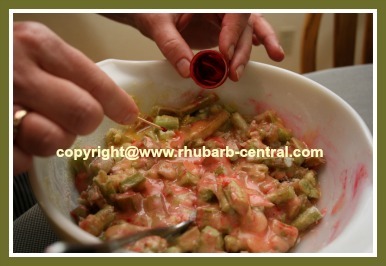 Scroll down for the link for instructions on how to make "green rhubarb" into "red rhubarb". Enjoy it warm served with ice cream, yogurt, whipped cream, or served plain. In a medium bowl, combine the flour and the powdered sugar. Using a pastry blender, or a fork, cut in the margarine or butter, until mixture resembles coarse crumbs. Press into bottom of an ungreased, 9" x 9" baking dish. Bake at 350° F for 10 minutes. Note: Crust will be only partially done. In a medium bowl, combine the filling ingredients and blend well using a fork. Pour over the partially baked crust. In another medium bowl, combine the flour, sugar and the cinnamon. Sprinkle the crumbs over the filling. 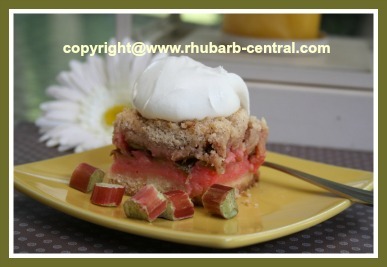 Bake at 350° F for an additional 55 - 60 minutes, or until the topping is light golden brown and the rhubarb is tender. Enjoy these Yummy Rhubarb Dessert Bars! Do you prefer REDDER Rhubarb? Here is a tip to make your "green rhubarb" into "red rhubarb", follow the link below for simple instructions.